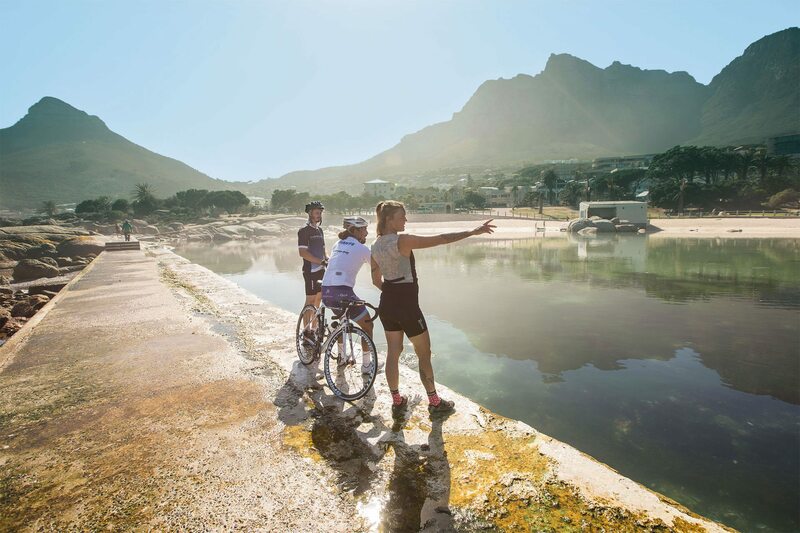 Created by Cape Cycle Routes, the Cycle Tour 364 starts and finishes at Cape Town’s historic V&A Waterfront, along sections of the iconic Cape Town Cycle Tour route. You’ll ride past the gate of the Cape Point Nature Reserve, which conserves one of the world’s six floral kingdoms: The Peninsula’s endemic fynbos. The figure 364 refers not to distance – you’ll only be riding 123.3km – but to the number of days on which the route is open. 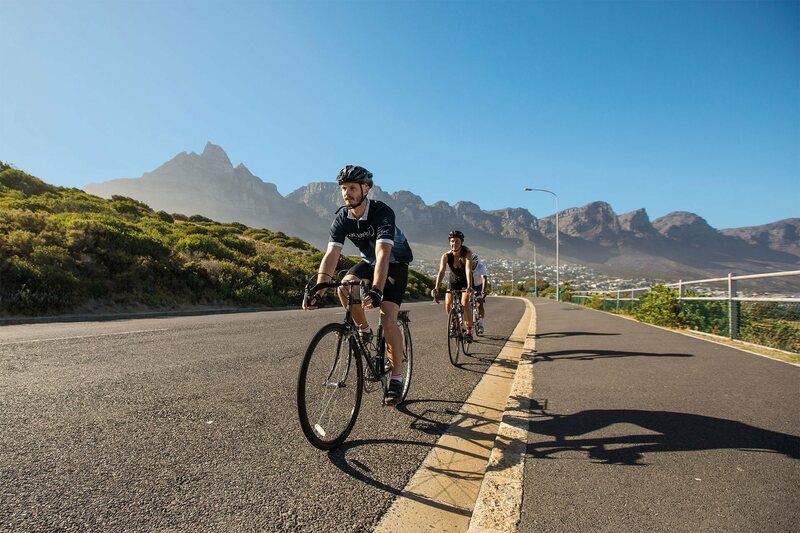 The ‘365th’ day – the second Sunday of every March – is when more than 35 000 people from around the globe join the World’s Largest Timed Cycle Race, the Cape Town Cycle Tour. You’ll ride the spectacular Chapman’s Peak drive twice on the route, and it’s well worth it. A toll road on which cyclists travel free, the 9km pass took seven years to build, and opened to traffic in May 1922. Once you’re though the Noordhoek Valley, you will see False Bay on your left as you head south, all the way through the naval village of Simon’s Town to the top of Main Road (what Cycle Tour riders refer to as the Smitswinkel climb, named after a tiny bay below). The gate to Cape Point Nature Reserve is the fulcrum of your ride. Your return journey will take you through the southern section of the Table Mountain National Park, visible on either side of Plateau Road. The route home will deliver superb views of mountains, fishing and surfing spots along the coast and charming Hout Bay, before you retrace your tracks to the V&A Waterfront. See our full ride report here with maps and more details. 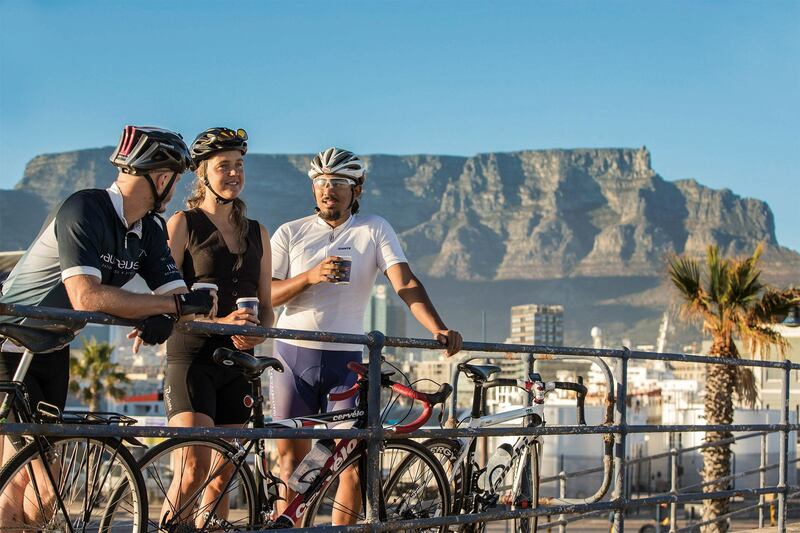 FIND BIKE FRIENDLY Cafes & PLACES TO STAY AND VISIT ALONG THE Atlantic Seaboard and South Peninsula. Look out for our bike friendly signage to find venues that welcome cyclists and have bike parking.